I think this video is very interesting. 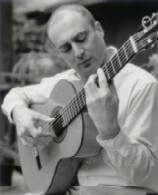 Of course, steel string guitars and nylon string guitars are different, but I think the same thing applies. However, for me a bigger effect is the way the solid nylon strings--particularly the G--warm up after I start playing and become sharp. tuning is very weird. i was never satisfied with how a guitar sounds when it's tuned with a tuner, every chord would have some sharp notes and some flat notes. that's when I stopped using a tuner and bought a tuning fork to tune the strings in relation to one another. I always tend to tune the B string a bit lower than perfect B when I play in A a lot, and tune down the G string when playing in E. a well set-up guitar with precise fret positions doesn't need it as much as other guitars though. the G-string is kind of the most annoying of all strings. it's so hard to tune it dead on, and when you get it dead on it sounds weird with the other strings. I appreciate this guy's approach, but in practice, tuning is just not that exact of a science. Like you said, things start to drift as soon as you start playing, and if you're performing on a stage with hot lights, etc. then forget about it. All good guitarists will continually tune on the fly by ear during a performance, and some will even tune slightly differently depending on what key they're going to play in. -first tune the A string using a tuner, fork, tone, whatever I have, then tune the rest of the guitar to that by ear. -I tune the 6th string by matching the A at the 5th fret. -Then the 4th string by fretting it at the second fret and matching it to an octave above the low E.
-Then the 1st string by matching it to the open 6th. I always tend to tune the B string a bit lower than perfect B when I play in A a lot, and tune down the G string when playing in E.
I do the same things, Jalal. 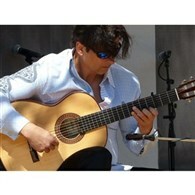 Andy, I tune similarly but I tune the high E to the 5th string using the harmonic over the 7th (I think) fret. Then make adjustments as above. Then go out of tune because my strings warmed up. Yeah, hot lights on stages: Once I was auditioning to get in a promotional brochure and I was on stage ready to play. It was a big event. They said go and THEN turned the f*cking lights on me. I went so out of tune that I didn't know what to do and could only play rasgueados. Later I explained and sent them a recording (and got in the brochure). never thought about spotlights getting it outta tune, but it makes sense 😂 can you show us this brochure, Ethan? i bring up the A string to 440, just like Andy, and then play the open E and A together to listen to the sympathetic vibrations the two strings create (dunno what else to call them), tune the E up until there are no vibrations and both sound clear. i do the same with the D string. the G i sometimes tune on the 7th fret and compare with the D above, or on the 2nd and compare with the A string (again, just like Andy). the B either with open E string, E string 7th fret or compare B string 3rd fret with the D string. and the high E either with open E, open A or with the G string while pressing 3rd string on high E. then comes the fine tuning... all depends on the mood. tuning with harmonics is also very nice, but I once had a weird guitar that I tuned with harmonics and one of the strings was suddenly a half step sharper than it needed to be when playing a chord. kind of odd. It could be worse — you could be playing the uilleann pipes! can you show us this brochure, Ethan? Seems to be long gone. It was around 20 years ago. A brochure of local musicians seeking performing gigs, published by a local government arts commission (King County, WA, USA), https://www.4culture.org/. There was even a CD of samples to go with it. I think that most guitars are not going to tune the same, as there are different top stiffness's to have to deal with. It's always going to be relative to the sweet spot to determine the actual tone value. Guitar tops tuned to the higher key will be different from, let's say, the flamenco universal key of G-F#, and then we have different patterns we have to deal with, some requiring additional distance for proper harmonics, and some that don't. But the sweet spot is always going to be the factor for proper tuning of any guitar. And this is determined by construction and adjustment of its tonal value. And it's very seldom that I can build a guitar and expect it to be perfect, without pushing the envelop more toward fine tuning the strut thickness, more toward a synergistic quality for the high and low end. And you are right when it comes to proper tuning, as different music requires different tuning on most guitars. I think this video is very interesting. Of course, steel string guitars and nylon string guitars are different, but I think the same thing applies. Does it? Steel strings have a much larger Young's modulus (a measure of stiffness) than nylon - approximately by a factor of 50. Even when we allow for acoustic guitars having roughly double the tension, that still leaves a factor of up to 25 larger inharmonicity for steel strings - especially the bass strings; the steel trebles are thinner so less of a difference there. While inharmonicity exists for both nylon and steel, I wouldn't take this guy's steel-string-specific cent prescriptions very seriously in the nylon string context. Age old topic but thoughts are the same still. After finding a string that is in tune to a reference, proceed to tuning only using harmonics. This gives you open strings in tune to themselves the best your ear can do without a digital tuner. Anytime the fingers hit the fretboard, factors such as pressure and temperature (as Ethan points out) affect the strings. Including even slight amounts of those factors during the tuning process just adds problems to the already missbalanced equal tempered system. Since open strings can’t be manipulated, one needs to have them in tune and then learn how to play with good intonation relative to those open strings or other musicians. Any other way is pretty much amateur stuff. Also you must repeat the tuning process after capo goes down for similar reasons (pressure points not all equal).... unlike the moron in the video. Another method Ive seen people preach is to tune all the strings using just one reference string, usually the open A string. This avoids errors that can cascade on down. But I think you cant use all harmonics this way. you need to fret a couple of notes and could introduce intonation error this way. Ive always tuned with the 5th and 7th fret harmonics out of habit. How do you tune once you get to the B string? Which harmonics do you use? I use the 7th fret low E string. I tune the high E string first then tune "back down" the B string with unison (the usual 5th and 7th fret like Jason said). But when I tune the high E string, I'm using the 12th fret harm, on high E and low E, and of course it's not a unison like all the other 5 fret/7fret stuff. I think if you want unison you have to do 9th fret G string and 5th fret B string. then tune "back down" the B string with unison (the usual 5th and 7th fret like Jason said). But tuning via these harmonics does not give you a EADGBE open-string-tuned guitar in equal temperament. 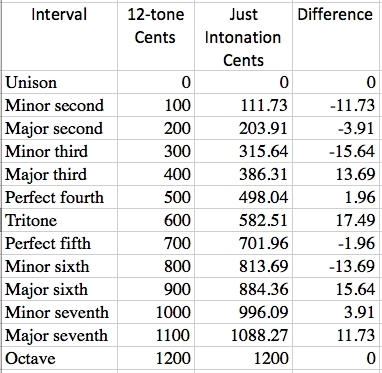 It will be off by some cents because the harmonics at 7th fret give you pure intervals - not tempered ones. Dumb question but won't all harmonics give you pure intervals? I've always avoided this on the basis that a string tuned without having been fretted doesn't know the real world of hitting the frets where intonation issues become exalted. Fifth fret tuning doesn't use enough of the fretted string (on the basis of nothing at all) so I tune to octaves at the 7th (and 8th) fret, then tune an open position chord by ear. Fifth string stuff is generally to get to the ball park. I think you're referring to 'beats' where two frequencies are of roughly the same frequency and amplitude. You reduce the dissonance by making the beats faster by increasing tension in the string to be tuned. Or is it by making them slower by decreasing tension in the string? All this reminds me of roadies arguing over the best way to coil a lead. Jeez, wrap it round your elbow, tie a knot in it and throw it in the case for godsakes. Matching harmonics is simply a trick to get the strings to be tuned opened to one another, mainly you are matching the 4ths between two strings. THere will be arguements about how precise 4ths are supposed to be in the equal temp system, but in my experience having perfect 4ths between E-A, A-D,G-D, using the ear, results in a guitar in tune as good a possible without using a digital tuner. Comparing both I have always gotten green results. G-B is a very dangerous string relation to try to match by ear, so I circumvent this by making sure the high E string is perfect 2 octave above low E, then making sure the B-E is a perfect 4th. Everytjme I check this against say 7th fret low E harm compared to open B it is always a perfect correlation. THerefore for it’s fine to tune the open B to the 7th fret of 6th from the get go. Also 7th fret harm of the 5th matches the open E string. Double check the two octave relation to both E’s to be sure, but it is always the same. Always...unless your strings are going bad. Again if stings are going bad you have to rely on the open strings to be in tune relative to each other and make adjustments with your left hand technique. Normally the older and less true strings are, the more work you have to put in technique wise to play in tune. If all you do is throw a finger random into some fret position, that’s simply not pro IMO. Yes, however in 5th fret harmonics the interval is (double) octave, which happens to be the same in pure (i.e. just) and tempered system. On the other hand, the 7th fret harmonics is (an octave and) a pure fifth, whereas tempered fifth is slightly flatter than pure (pure is 3/2 frequency ratio, tempered is 1.49831 ratio, or a difference of about 2 cents). Are we talking just slight "bends" or is there something else? Changing the pressure exerted on the string perhaps? 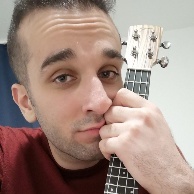 I use small bends a bit when I feel it sounds better that way, but yeah, I'm no pro so most of the time I'm just throwing a finger random on a fret Guess I'll have to start paying attention to that more. Yeah that's beneath my perception threshold at this point. I imagine it's a linear sum function. So if I'm 2 cents off from E to A, am I 4 cents off from E to D, then 6 from E to G? I can't find the site where I did it but a few years ago I did a test and if I remember correctly it was only at around 8 cents that I started to reliably perceive the difference. But that's probably just lack of training. Also it was a purely melodic test. Not sure if I'd be able to tell the difference any better/worse in harmony. Yes if you are tuning each successive string off of the previous one using that method, the amounts off add up linearly. Are we talking just slight "bends" or is there something else? Changing the pressure exerted on the string perhaps? Every single time you touch a string and push it down toward a fret, the darn thing is bending. Most of the time the concept of bending means “sharp” or going higher than intended pitch. That’s why luthiers compensate the bridge...for people that bend the notes sharp all the time. 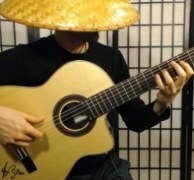 Once a player can accept the fact you can also make the string go flat by leaning toward the bridge, the concept of playing “in tune” becomes a game of balancing out all the imprecision. Simple fact you can do vibrato proves the fret is not the same as a keyboard key. Please people, stop tuning your guitar with your fingers on the fingerboard. After reading most of this back and forth dialog about tuning the strings, I have to say it is still going to be a about how a guitar is built as to the actual tuning that needs to be done. No two guitars are totally alike. The basis for any tuning is the same but for the tweaking that needs to be done on each individual instrument. This requires certain fine tuning for the type of music played. Finding the sweet spot on any instrument is going to take individual tuning for every guitar. Once you find it, then it has its advantages toward performance. Each guitar commands its player to find its sweet spot. And different patterns require different fine tuning. For example: The 2003 Manuel Reyes pattern does not have additional string length to maximize/compensate its harmonics, unlike many other guitars that use additional length to their playing scale. And for those of you who can remember Carlos Montoya's Barbero guitar which was tuned down to give it a deeper sound and save his hands from much wear during concerts, this is just one of many ways to fine tune a guitar. Now I'm actually sort of pissed that after quite a few years studying with various flamenco teachers, not one ever bothered to bring up something that, now that you say it, just seems so obvious. Anyways, thanks, I'm going to have to start exploring this. Shouldn't it be -2 cents and not -6? 2 + (-4)? 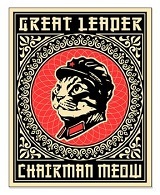 If I'm following this correctly, then "Unless you fret the G carelessly like many do." is the important part. That theoretical gap of 2 cents (or 6 if I miscalculated and you had it right) is in practice closed by proper positioning of your finger on the 6th string 3rd fret. I haven't explored this yet, but I imagine it means that to get an exact octave between those 2 notes then the proper position on the 6th string would have to be leaning away from the bridge. You'd still be off by -4 cents from the open A string since that's the one you tuned as true, but your two Gs would be in unison. Glad you mentioned that, Tom. Years of watching Carlos Montoya on Youtubes shows a lot travel in his string movement. In some close ups his strings look loose to his right hand attack. I thought I was seeing things. If we have E+2, A=true, D-2, G-4... then the low G in 6th string 3rd fret is also 2 cents sharp (as its open string is). 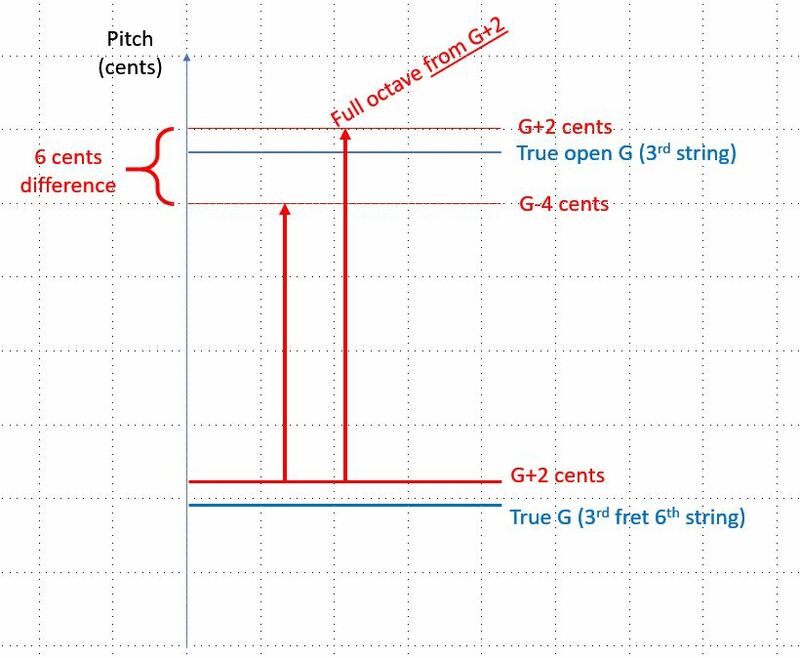 Compared to THAT sharpened G, the 4th string open G octave interval is 6 cents flat (in other words, even if the 3rd string open G was true, it would still be 2 cents flat compared to the sharpened low G; so it is 6 cents total difference from the sharpened G). BTW I always fine-tune further so certain areas of the fretboard (maybe where I would play the piece mostly) sound ok. My guitar is not great. For example I find that if open G is exactly true, the 9th fret E (same pitch as open string high E, so easy to compare) is always a bit sharp. So I flatten open G a bit. And if your guitar has multiple intonation issues in different positions, that could overwhelm any adjustments one can make for tuning open strings. It is too bad that we can't just tune all the frets, not just the nut. Ricardo is right that you can modulate fretted pitch by the amount of pressure and pull/push with your left hand. In fact some classical guitar books refer to it as an advanced tool to subtly sharpen/flatten notes with your left-hand pressure/pull if needed to compensate for out of tune note. I pulled out my guitar this morning to check against my tuner. I used the Peterson strobe tuner iPhone app with a little shure condeser mic that plugs into the lighting port. First run through tuning results were somewhat close to Konstantines numbers - at least in the correct directions. Second run, not so much. The thing is, Even using harmonics I find it takes a lot of time to try and dial in that last 2 cents. Second thing is I always have problems with the g string. But I can say that the 7th Frey harmonics do show ~2 cent difference on the strobe tuner. I recall this same exact same discussion here years ago. 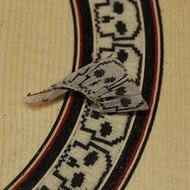 It's impossible to flatten a fretted note, as was concluded then by several of us. I'm glad this post stimulated all this discussion though.